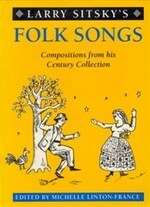 Larry Sitsky's folk songs : compositions from his Century collection / edited by Michelle Linton-France. Century : Advanced: Volume 3 / Larry Sitsky. Century : Beginners: Volume 1 / music by Larry Sitsky. Century : Intermediate: Volume 2 / music by Larry Sitsky.